Brilliant stuff. Especially the things you do vs. things you think you do. Self analysis has never been easier... I'll certainly give it a try. Wish there was a tool like that to evaluate the rest of me! I used a EXIF tool that works on Nikon NEF's in a folder. It was fascinating to see what my habits were. Almost all of my shots are made at the wide or long end of a zoom. I am basically using zooms as "double primes." I've been trying to decide if I should just buy high quality primes at the focal lengths I want. "Cropping is OK if the alternative is getting wet or showing a beer can. Otherwise, it's better to move your feet." The content and perspective of an image is determined by the physical relation of the photographer to the subject. 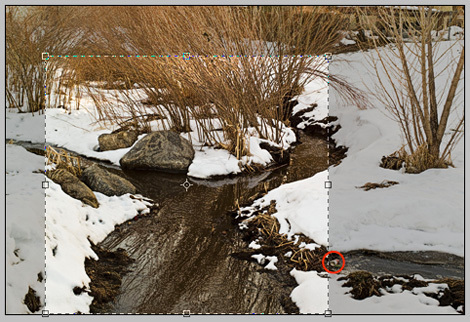 Once the desired composition has been achieved, the proper lens should be chosen (or zoomed) to crop out the extraneous material. Where you stand is an aesthetic concern, cropping is a technical one. "If you're not close enough, you're pictures are not good enough," only applies to news photography. On the other hand, sometimes it's fun to go get that lens you didn't need and found out you really did. Thanks for taking the time and effort to share with us what looks like an interesting tool to help us better understand our shooting methods. Fantastic program. Examining the differences between my 1-star and 2-star images has shown me some statistical trends that I would never have otherwise seen. Thanks so much for putting it together and making it available. This little freeware program is around for at least three years now ... (Windows only). Taking Bill Miltchell's comment further: maybe dSLR users are having a phase of not caring about perspective? That is a critical area in which you'd expect to see a difference between zoom/crop/moveyerass methods. Tells me people are shooting "a photo of something" with little care to the angles it makes *in the resultant composition*. I was skeptical when I started reading this; `meta-meta-data would be something like applying Ratings to EXIF, such as "I don't like the fact it recorded this as 28mm"', I thought. And `that's not meta-meta-data, it's a (crude) statistical analysis'. But by the time I got to the bottom, I see Marc's learnt something about his and someone else's styles, with a definite potential for improvement, so I'm warming up to the analysis a bit. Thank you for that illuminating guided tour of your metadata. Re the D200/17-55mm data (obviously not being privy to any other knowledge about your shooting): If you're spending 40% of the time at normal and 25% at tele, I'd say you're milking the whole range of that lens, while showing some preference toward wide and normal. It would be instructive to know crop percentage per focal length, as, looking at just the numbers, you may be wanting more reach at the long end as much as you may be cropping away at the wide shots. In general, though, is it not better to have some slop to crop away? Especially so with respect to your implication that the better images are getting cropped for common print aspect ratios (which you wouldn't bother to do with those not worthy of printing). Assuming that that is how you work, and accounting for the D200's slight viewfinder crop plus the cropping necessary for larger print sizes, I submit that averaging 70% per keeper shows rather impressive in-camera framing. Geez, I'm a stats junkie. You totally got me with this. This is a good topic to highlight. I've long argued with my emulsion-hugging acquaintances that digital photography's EXIF data represents the greatest instructional resource that photography has ever seen. Most still hug emulsion, make narcotic images, and teach photography like they were stuck in the early 20th century. That's fine. No, studying EXIF data won't turn a crappy photographer into an icon. But at least, if used thoughtfully as your piece suggests, it can help to prevent a crappy photographer from making the same technical mistakes over and over. He can become a technically better crappy photographer in no time at all! May I suggest a short version for this posting? "I am unable to visualize and frame a decent image in the field: therefore I recrop." Since when is getting your feet wet a concern? "I am basically using zooms as "double primes." I wonder how many of us this applies to? It's something I began to realise a couple of years ago so now I have to carry more lenses but get better image quality. Last year I took a 70-150mm zoom on holiday for the convenience but am frustrated by knowing Id have got better shots with my 85mm and 135mm lenses. my guess: an analysis of 100 photographers "pattern" according to Marc would show most would do with primes, or even only one prime.. Criticisms of my photography are surely true--mastery of perspective, as well as everything else. I'm a much better programmer than I will ever be a photographer! The article was supposed to be about the idea of getting insights from metadata and about the tool. My personal role was only that of a bad example. Regarding square format: I have noticed that many of my favorite framed pictures are close to square. I do have a Mamiya RB67 (almost square), but haven't yet brought myself to shoot film (again). ""I am basically using zooms as "double primes." I wonder how many of us this applies to?" Robin: Probably many of us. I know that when I use a zoom lens I tend to favor certain focal length positions in its range. But that observation does not necessarily suggest replacing a zoom with a prime. The fact is that I don't generally know what focal length I'll need next. So the the zooms will always win for convenience and simplicity when it comes to impromptu photography. Frankly, for all practical observable purposes, the best quality zoom lenses today are easily the optical rivals of most primes within the mount. I suggest you for a future version that it would be very intresting to get also the data about f-stops analized. So what if the water was cold. I can see avoiding frost bite though. The number one most important item affecting your photographs is "where was the camera located." "Frankly, for all practical observable purposes, the best quality zoom lenses today are easily the optical rivals of most primes within the mount." Yes Ken, I'd reluctantly go along with that if I was using a DSLR or 1990's film camera but the Konica AR mount cameras I use have wonderful primes and very compromised zooms. It's back to the old argument that primes tend to be brighter and for anything shorter than about 85mm one can "zoom with the feet". Thanks very much for writing (and writing about) ImageReporter and making it available. I'd pay $20 for a program that would let me edit EXIF data, so that I could enter the same sort of data a digital camera records for images scanned from film and then be able to similarly sort those. I know I can record that information as an EXIF comment or an IPTC description, but that's not compatible with the sorts of things a program like ImageReporter does. Actually, ImageReporter takes its data from Lightroom's catalog (database), not directly from EXIF data in image files. So, if you enter data into Lightroom's metadata panel, ImageReporter will pick it up. Lightroom will use it, too, for sorting, finding, etc. ImageReporter is a great tool. Thanks, Marc! It's much more user-friendly than the combination of sqlite3, awk, and R scripts that I've been playing with to find and summarize/plot much the same information. I wonder if you've made any changes for Lightroom 2? The "Capture Time" setting doesn't appear to work for my LR 2 catalogs -- no images are found when I specify a value there.